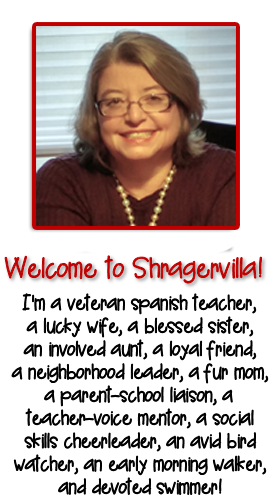 June 25, 2018 By Personal thoughts and beliefs of E.B.Shrager - do not represent those of any past or current employer. Add this Rejoinder Video to your lessons that teach them in context and you will be impressed with your students’ usage. 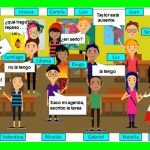 Spanish Rejoinders are taught in context with different stories, readings, videos, and routines. Spanish Rejoinder Posters around the room are helpful, but listening to rejoinders in a catchy and compelling video seems to accelerate output. It’s not that students will watch the video once and learn 70 of them. Rather, as they are used in context, with the added layer of this video, students tend to have musical lyrics flow out of their mouths with spot-on pronunciation mimicking the native singer. 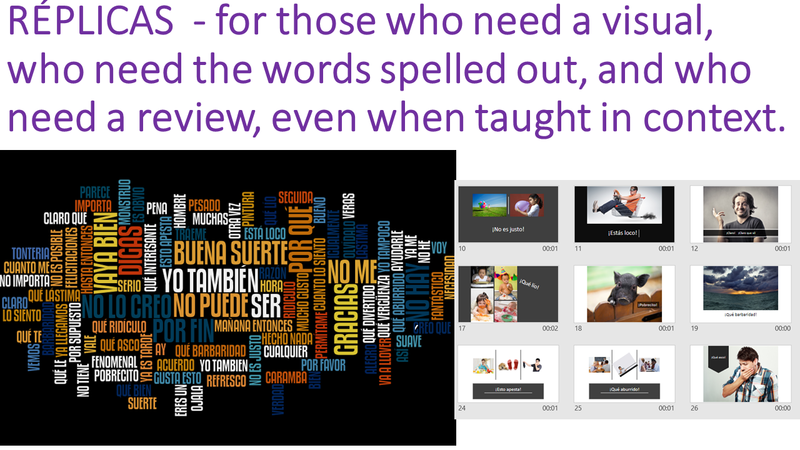 It also provides a visual for those who need images to retain, and words, for those who need to see the spelling. I am teaching a new prep this year – Honors part two and look forward to using this as a review. This video frequently sparks interest in students as they gravitate to those that have yet to be taught explicitly. It rouses curiosity and frequently students become enamored with a few phrases even before they are official taught/targeted. Teach your rejoinders in context and add this to the posters around your room. 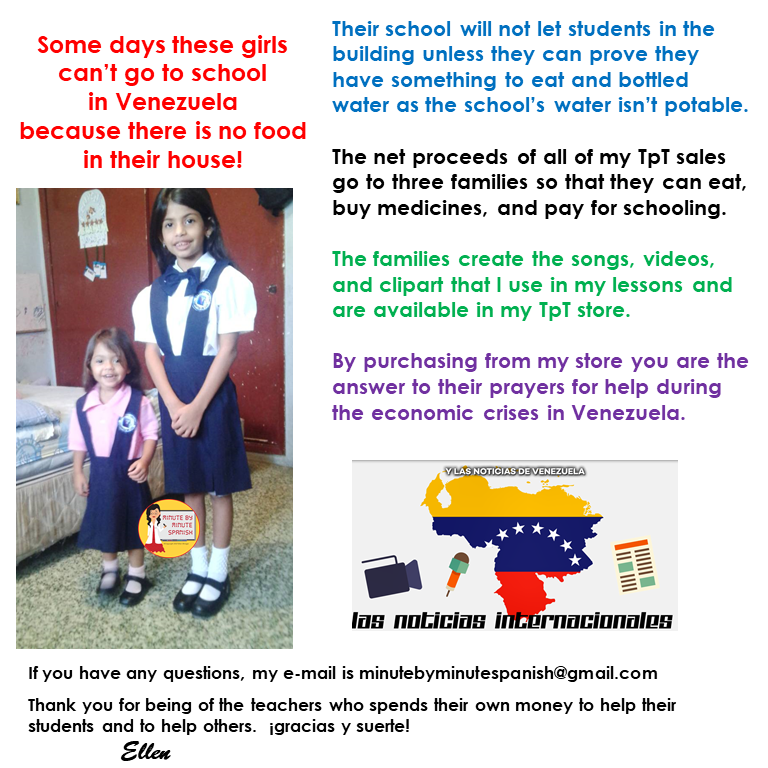 Here is a two minute video of my experience and the resultant rejoinder video we created to help raise money for three Venezuelan families. For more info on how to use transition videos, click here. 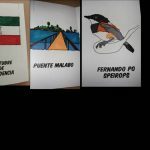 For more info on survival expressions for the Spanish One classroom, click here.